Manuel Pellegrini has had a decent, if not spectacular, first season in charge at West Ham. The former Manchester City boss will be pleased with the steady improvements his side have made following an awful start. As with every new manager, it is the signings they make that often impact how successful they will be and is also what supporters judge them on first. Rating a new signing can often be a very subjective thing; some fans will love one player while others may think they are total rubbish. So, here at West Ham Way, we have used InStat Football’s InStat Index, an algorithm that gives players a score after each match day to form an average over the course of the season, to rank every signing in the 2018/19 season to play more than 800 minutes. Some people raised an eyebrow or two when the Hammers signed Ryan Fredericks from Fulham. After all, the 26-year-old had never played in the Premier League before having been released without making a first-team appearance at Spurs. His move to Fulham came after loan spells at a number of clubs including Millwall and Middlesbrough. At Craven Cottage the full-back would play over 100 league games and did enough to impress the coaching team at the London Stadium to warrant a four-year contract upon arriving at West Ham on a free transfer. His performances since have been mixed with some especially poor displays early on but recent improvements could give supporters hope that he has what it takes to succeed. Even so, fans are suggesting that full-back is one area the Hammers need to improve in over the summer and a score of 264 shows they may be right. 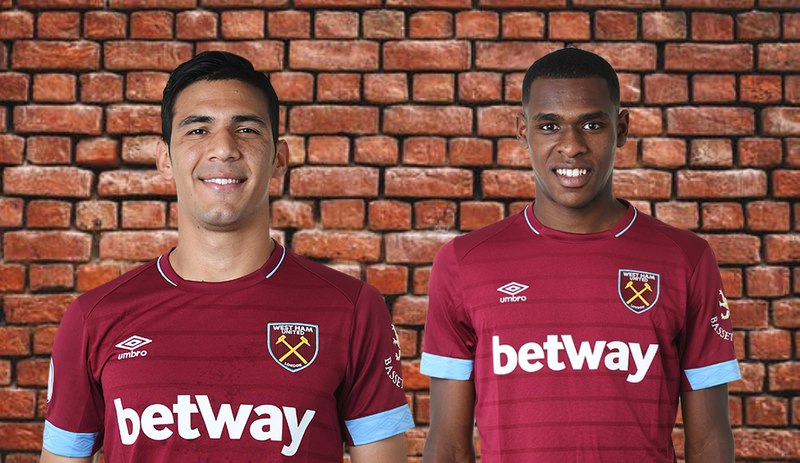 Balbuena is another of the new recruits to have provided some inconsistent performances. His index score is little more than average which won’t come as a surprise to fans. The defender joined the club in July 2018 for an undisclosed fee having played his entire career in South America. The pace of the Premier League has taken him a while to adjust to but he has netted once and should improve next season. Issa Diop has been one of the best signings this season for West Ham. He has been solid and leads the team in defensive challenges won (247) and aerial challenges won (112). He will be a vital component if West Ham are to finish in the top ten. As of 7th April Betway have them at 9/4 to make a top-half finish and they could even aim higher depending on the fitness of some key players. It could be that Pellegrini is already looking towards next season and even if that is the case Issa Diop will be part of the spine to build around. The former Arsenal stopper has been very good for the Hammers this season. His experience and consistency have solved the goalkeeping conundrum the club appeared to have last year and at 33 years old he still has a few good seasons ahead. The Polish international has been ever present in the Premier League and has made 131 saves from 178 shots faced, giving him a solid save percentage of 74% and making him one of the best signings of the Pellegrini reign so far. The Brazilian was seen as the club’s marquee signing in the summer and he certainly has lived up to that billing. His numbers are very impressive. He has completed more successful dribbles (112) than any other West Ham player, and the fourth highest in the Premier League, while also playing more key passes (97) and making a pretty incredible 59 successful tackles, the third most on the team. His versatility and work rate have made him such an exciting player to watch and West Ham fans have taken to him because of it. The fact that only five players appear in the above list is not because that’s the only ones West Ham signed but rather they are the only ones who have stayed healthy long enough to play the minimum number of minutes. Jack Wilshere, Andriy Yarmolenko, Carlos Sanchez and Lucas Perez have all missed time with injury after joining the club this campaign. Next season’s recruitment must move away from signing players with a bad injury record.